ADOPTION. This word brings up powerful emotions, doesn’t it? 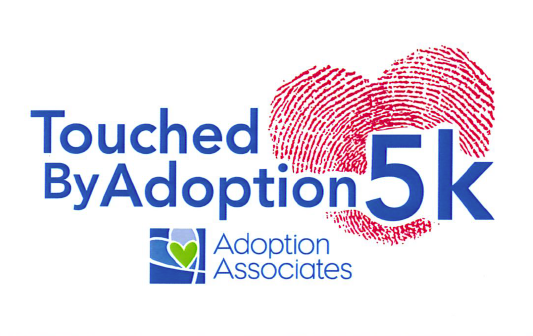 If you or someone you know has been touched by adoption, I imagine that you can easily understand what a life-changing blessing adoption is in the lives of families and children. BE A HERO. 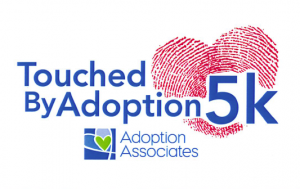 Join us for the 7th annual TOUCHED BY ADOPTION 5K RUN/WALK on Saturday, August 25, 2018, at the Bogue Flats Recreation Area in Portland, Michigan. 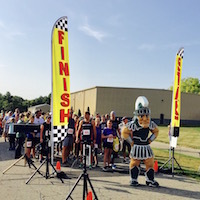 You can run, jog, walk, or crawl your way to the finish line! Awards will be given for the top male and female finishers in each age group, along with a Stroller Division and a Team Spirit Award. The Kids Fun Run begins at 9:00am followed by the 5K starting at 9:30am. This is a family-friendly, dog-friendly event where there will be something for everyone! 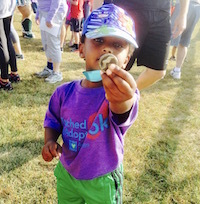 There will be surprises galore — including a virtual run option this year — more details to come! Help us raise funds to continue to ensure our mission — to unite children with their forever families, both domestically and abroad. Register HERE today!